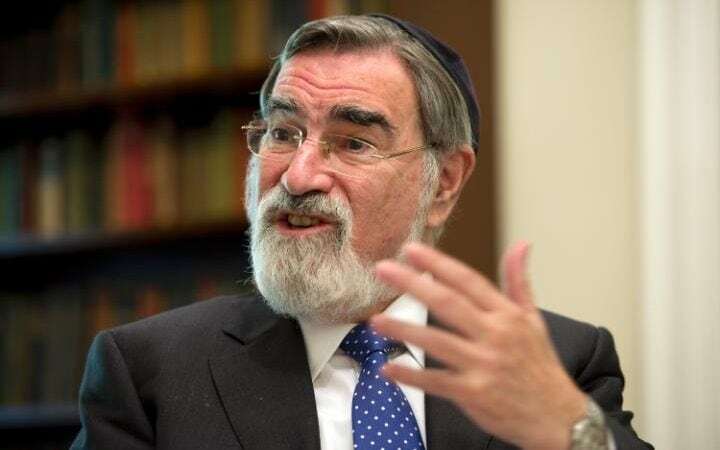 UK former Chief Rabbi Lord Sacks: "Western civilization is on the brink of a collapse like that of ancient Rome." But among a list of problems he said neither the market nor the state could ultimately solve he singled out the "collapse" of birth-rates throughout Europe. This, he said had led directly to "unprecedented levels of immigration that are now the only way the West can sustain its population". But he added that there had been a "systemic failure" to integrate new arrivals. He also warned that Britain is losing its national "memory" and cultural identity because people in the digital age simply have shorter attention spans and have little grasp of history. And he dismissed the standard of debate in the run-up to the EU referendum as shallow, parochial and â€œfustyâ€ as if "from the 1950s" rather than the 21st century. He was speaking after receiving the Templeton Prize, which, at Â£1.1 million, is the worldâ€™s biggest annual award, for his work promoting religious understanding. There was, he said, "no question" that this poses a serious threat to the future of western civilisation as we know it. Useful post. It gives new information of "systemic failure". Thank you for sharing this information to spend time to prepare. Please update your post. It's always about Western civilization being collapsed. Even rating of Papersmart sometimes says about it, which is quite annoying.